You may benefit from special housing deals if you are an eligible key worker. However, the requirements can vary by the mortgage lender or housing association. In this article, we have set out the three main points to consider when looking to apply for a key worker mortgage. Are you an eligible key worker? Able to prove that they are unable to buy a home that meets their needs within a practical commuting distance to their work without financial help. Be British or EU/EEA citizens or have indefinite leave to remain in the UK. Able to show that they have savings or have access to a specified minimum amount to cover the property purchasing related costs. Must be employed on a permanent employment contract. However, exceptions may be considered based on individual circumstances and bank nursing, supply teaching may also be accepted. Not own a property at the time of the application or if they do, they must sell this by the time the subject purchase completes. Typically, applicants must be permanent employees of an NHS Trusts or organisation. However, this excludes doctors, dentists and administrative, domestic or portering staff. Child social workers employed by the LEA. In addition, all teachers applying using their key worker status must normally have Qualified Teacher Status (QTS). Civil Nuclear Constabulary (CNC) and the British Transport Police in most areas of the country. Also, some civilian police officers may qualify as key workers. Those working as Probation Officer (Trainee, Senior or Probation Service Officer) could also potentially qualify. Local authority applicants could also include social workers, but not certain other occupations, like speech and language therapists or occupational therapists. This category was for the now-closed HomeBuy scheme, so eligibility will have to be checked for each individual current or future scheme. Applicants could include Qualified Environmental Health Officers and Practitioners who work in a government agency, local authority, NHS or other public sector agencies. Applicants also had to hold either an EHRB Certificate of Registration or an EHRB Diploma in Environmental Health. Remember, all mortgage lenders, local housing schemes and housing associations may have their own specific requirements, so always check eligibility with the appropriate housing provider. At the time of writing (May 2018), specific key worker mortgage deals are rare. As an exception, there is a lender with a special deal (maximum 95% LTV, 5-year fixed rate deal at 4.99%) exclusively for teachers. 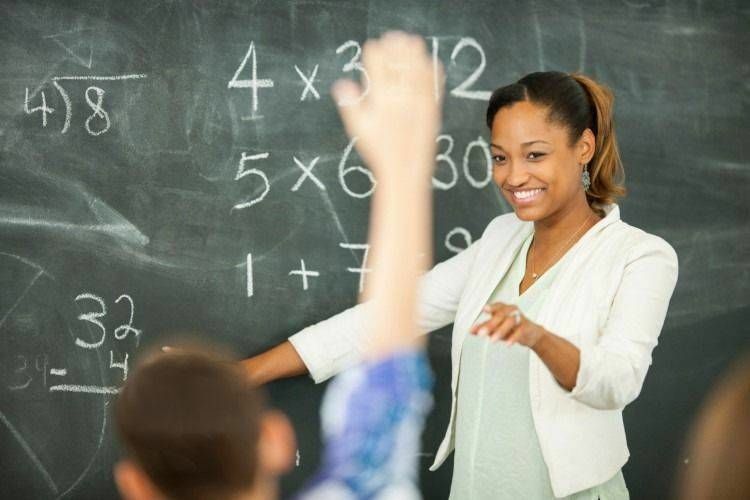 This lender understands teachers’ pay structure and can lend to teachers even before they take up their first teaching post, so it’s worth considering them. There is another deal for newly qualified associate dentists, who normally are not eligible for key worker status. In the case of this mortgage deal, however, they are considered and could get maximum 90% LTV, 5-year discounted rate deal starting at 3.24%. It is also worth mentioning that there is a lender, who offers lower mortgage rates and/or lower fee options to certain professions that include teachers, dentists, medical doctors, optometrists, pharmacists and vets. It’s enough if only one of the applicants works in one of these jobs in order to qualify for the favourable deals. As an update, a major high street lender has just announced (July 2018) the introduction of a range of mortgages for newly qualified professionals, including medical doctors and dentists. These exclusive deals allow eligible applicants to borrow 5.5 times their income up to 95% loan to value with no arrangement fee, free valuation and a maximum loan amount of £600,000. The mortgages are available for first-time buyers and home movers. Separately, they also introduced a range of deals available for other key workers as well, including nurses, police officers and teachers. On a positive note, there are quite a few lenders, who can accept income from bank nursing and supply teaching. Terms and conditions apply, but some lenders recognise that while this type of income may not be fixed, there is a constant need for key workers to work this way. Doctors and other healthcare professionals also often have both employed and self-employed income due to working privately in addition to being employed. Lenders are happy to accept income from both sources and recognise that frequent changes to the place of work are also part of how the system works. Similarly, army personnel’s income and residency history may not fit regular mortgage lending criteria, but this type of key worker is also acceptable for many lenders. In short, if you are a key worker, you can be considered for a mortgage like anyone else, even if your income is out of the ordinary. You may be able to benefit from a key worker mortgage deal, but you may find that the best mortgage deal for you is not specific to key workers. In all cases, your mortgage affordability will depend on each lender’s requirements and affordability assessment rules. Another scheme aimed at key workers was the London Wide Initiative, which was a shared ownership scheme. Those who still (part) own their home under any of these schemes can find help via the www.myfirsthome.org.uk website. There was also The Armed Forces Home Owners Scheme (AFHOS) between 2010 and 2014, which was then replaced by the Forces Help to Buy scheme (FHTB) and is available until the end of 2018. The Forces Help to Buy scheme allows regular armed forces servicemen and servicewomen to borrow up to 50% of their annual salary, maximum £25,000 interest-free. This amount can be used when buying your first home or moving home and selling the current one. The amount may be used as a deposit or to pay for costs, including solicitor fees and stamp duty. The Forces Help to Buy scheme can be combined with other government-backed schemes, including the Help to Buy shared equity, Help to Buy shared ownership and Help to Buy ISA schemes. Key workers may benefit from a local developer or housing association schemes. These include discounted rent (intermediate rent), key worker rent to buy or even key worker shared ownership schemes. The discounted/intermediate rent is lower than the market rent, which allows you to save money towards the deposit by paying less rent than you normally would. The key worker rent to buy options work on the same principle, i.e. paying less than the market rent, but in this case, you have the option to buy the rented property after an agreed period of time. Key worker shared ownership is different, as it means buying a share in a property and paying a proportionate rent on the remaining share. This can work well if you expect an increase in your salary and could potentially buy more shares or even 100% in the future. Developers and housing associations may make certain properties only available to key workers or just prioritise key worker applicants if there are multiple applications for the same property. For information about locally available housing options, you should contact local developments and housing associations. Alternatively, the housing department of the local council may also be able to assist.